AURIZON owns and operates one of the world’s largest coal rail networks, linking approximately 50 mines with three major ports in Queensland and transports over 200 million tons of coal a year. By P. Trippi, reports from Gladstone QLD/Australia. All photos by author. AURIZON is Australia’s largest rail freight operator but with a bigger cost cutting program ahead. Today it has four major product lines for customers: Network, Coal, Bulk, and Intermodal. The company also provides a range of specialist services in rail business. It operates with approximate 500 active locomotives and 13,000 wagons. The company’s name AURIZON was a rebranding of former QR National end of 2012. The latter brand was established in the 2004/05 financial year when Queensland Rail’s (QR) coal, bulk and containerized business units were brought under one banner. It was privatized and listed on the Australian Securities Exchange in November 2010. 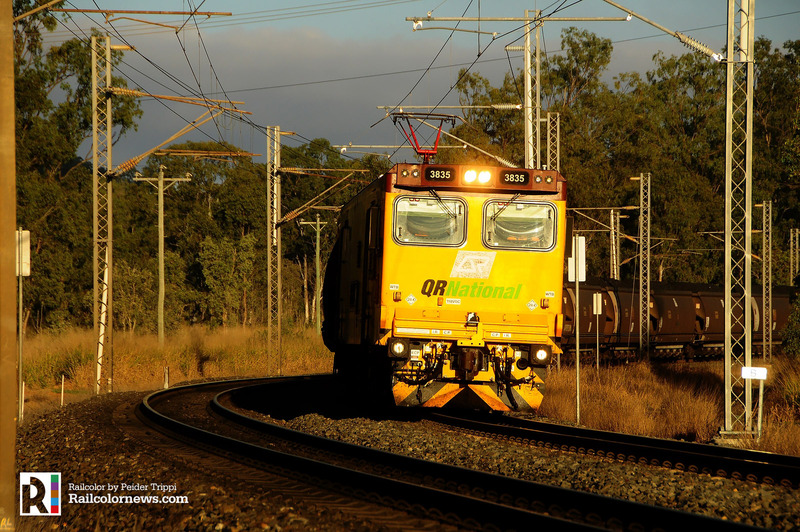 In 2012 QR National received a 99-year lease over the 2,600 km Queensland coal network.